Lisa Mims has been at the forefront of some of Delaware’s most dynamic efforts around social and emotional learning. 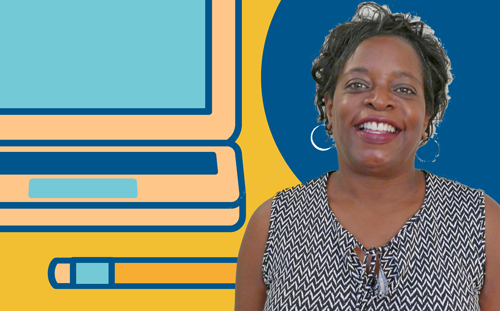 A longtime Rodel Teacher Council member and prolific ed-tech blogger, Mims currently takes part in the Compassionate Schools “Test Lab,” a model that trains teachers to find positive steps to calm students’ brains, build connections, and foster self-regulation skills. We caught up with Lisa to hear her take on why SEL matters. You gave an awesome TedX Talk last year in Wilmington. Tell us a little about your message. My message was that nothing matters more than building a relationship with our students—all of our students. We especially need to build them with our students who might be a “little rough around the edges.” When we build relationships, more often than not, our students are willing to succeed because they do not feel as if we think less of them. What do you see as the connection between school culture and climate and SEL? How does a strong, positive school culture support students’ SEL? In a school where SEL is practiced, the relationship between the educators and the students is shaped by much more than test scores. The educators care for the students’ well-being and strive to create an atmosphere that feels more like a family atmosphere. Rather than penalizing students right away, the staff in the building attempt to find out the underlying causes and deal with situations from that standpoint instead of just determining that a child is “bad” or incapable. Students are very perceptive to how the educators feel about them and behaviors can be changed when students feel like someone cares. Why is it so important to develop kids’ social and emotional side? When we see our kids as test scores we are completely forgetting that they are children. Many of our students deal with things in their lives that would be hard for most adults to process, much less children. We have to take this into account whether we’re teaching them academics, or by building their resilience and developing tools to help them deal with whatever is going on in their lives. There’s this strong link between SEL and trauma-informed care, and rightfully so. But SEL goes beyond supporting students in trauma, correct? Yes, it does. SEL applies to all students, not just students who have suffered from trauma. All students need to learn how to manage their emotions, be empathetic to others, and be able to make decisions on their own. These are skills that will not only lead to a positive learning environment for all, but can follow them through the rest of their lives. We’ve seen some great movement locally around SEL. What’s Delaware’s next big milestone? What’s on the horizon? I know that the educators in the Rodel Teacher Council have made great strides in making districts and educators aware of SEL. At this time they are still meeting to further their cause. One top priority is working to make sure families and students have a voice in the creation of a statewide framework for SEL. Read Creating a Common Language for Social and Emotional Learning in Delaware, and learn more about the RTC’s work on SEL last year. SEL is clearly something that’s very familiar and intimate with teachers and people inside education. But what should parents and the general public know about it? Parents and the general public should know that it is not just another new thing. Kids are developing socially and emotionally in school and at home and wherever else they spend their time—the opportunity we have now is to make SEL a more intentional part of all classrooms and learning environments. When/if our students have a difficult time processing their emotions, it may lead to toxic relationships in the classroom, whether it’s with their peers or their teacher. Parents and the general public should know that we are aware that trauma and toxic stress are real, and not only are we finding a way to deal with and react to it, but we are giving our students tools to deal with it as well. Read A Broader Vision of Student Success: Insights and Opportunities for Social and Emotional Learning in Delaware, which focuses on the efforts underway across Delaware to support students, families, and educators in developing their SEL skills. 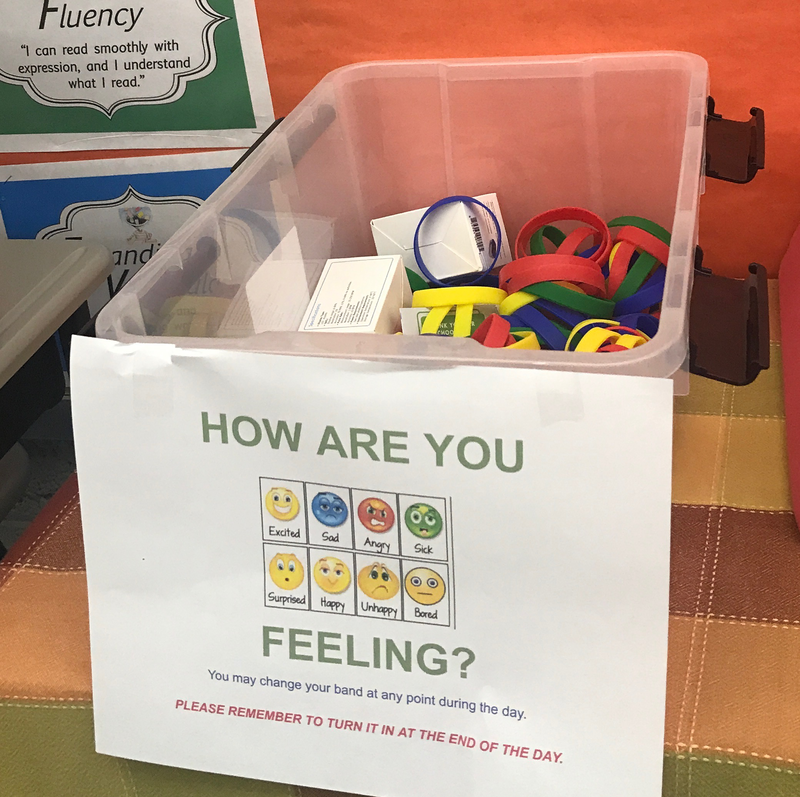 Test Lab is a professional development opportunity extended through the Compassionate Schools partnership whose purpose is to work with teachers to find positive steps to calm student brains, build connections, and foster self-regulation skills. The hope is that these methods can improve student achievement, increase teacher satisfaction, and enhance the overall school climate. Such programs add value because they increase awareness of the impact of trauma and toxic stress on learning. They chose educators so that they could move from research to actual practice. I was one of the educators fortunate enough to be chosen to participate. This semester, my students are using the self-regulation bands. The bands help them monitor their emotions according to colors, red, yellow, and blue. It’s amazing to watch them switch out the bands during the day according to how they are feeling. It definitely gives them ownership of their emotions. When we are done, we will share feedback with the lab and let them know how it worked (or didn’t), in our classrooms.